The Polish Jinx: Nordstrom Exclusive Resort Eye Cheek Palette From Lorac! 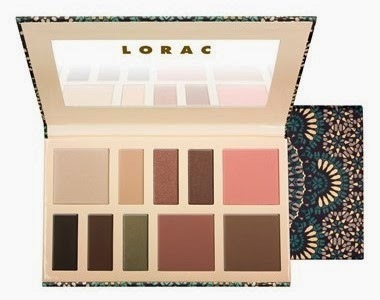 Nordstrom Exclusive Resort Eye Cheek Palette From Lorac! Look flawless as you head to your favorite hot spot or embark on your next getaway with this limited-edition Resort Eye/Cheek Palette, which contains everything you need to create an effortless, natural finish or glamorous evening look. The portable palette is packed with six velvety-smooth eyeshadows, two blushes and a bronzer, as well as an eye and cheek highlighter to take you from sunrise to sunset and beyond. 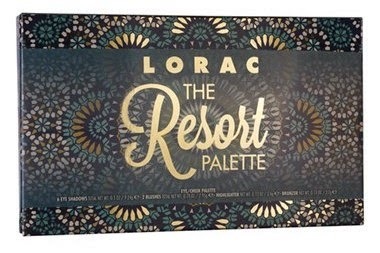 Whether you're lounging by the pool, bronzing by the beach or dancing under the stars, the LORAC Resort Palette has got you covered. This palette, and many others are available at the Nordstrom website (yes, they ship to Canada) and this one is only $20!